Picking an offsite storage facility for long-term document storage can be overwhelming. However, there are steps you can follow and questions you can ask to ensure you are picking the right long-term storage facility. A long-term storage facility should provide you with easy and convenient access. Consider the importance of the following; cost, accessibility, and security. Then choose a facility that best fits what you’re looking for. To prepare your documents for long-term storage, you will want to optimize your document and record storage system. 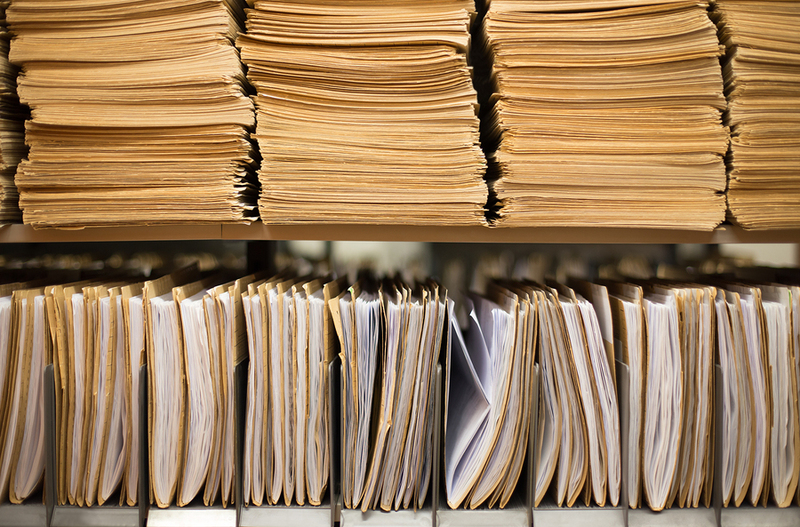 If you do not have a document management program in place, it is time to get organized! The easiest way to store files and keep track of everything is to lay out a clearly defined plan for your own company. Once your files are prepared for you long-term document storage, most companies will deliver boxes to your company for you to fill with your files. Most files are organized by year, date and alphabetical order. It is also important to keep a record retention program and keep this in mind when relocating your files. The best way to keep track of important documents is to have the retention date stamped on every document. Then, if possible store all the documents with the same retention schedule in the same box. This makes document destruction easier to organize. Once these boxes have been filled the company will pick them up and transport them to the secure facility you have picked. Once the documents are at the long-term storage facility, retrieval requests can be made. The timing and means of request should be discussed in the written contract. Get Free Quotes on Document Storage Services Today! Information governance is an ever changing field as federal and state laws require more retention and faster discovery. Our experts will help you maintain your document storage needs regardless of format. We can help you manage your hard-copy documents, and even guide you through the transition to a paperless office. Record Nations has been providing document management solutions for over a decade. Let us help you find the right document storage solution for your business. To get started, fill out the form on the top right of this page, or give us a call at (866) 385-3706. Within minutes, you’ll have several companies in your area to choose from.